Contemporary and thoroughly up to date, this book advises contact lens practitioners on the examination, function and pathogenesis of the tear film. 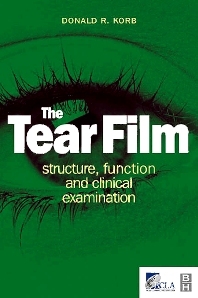 With comprehensive text and numerous superb full colour illustrations, this text presents the most up to date information on tear film research from leading international authorities in the field. Introduction: The importance of tear film; The cornea and conjunctival surfaces in relation to the tear film; Structure and function of the preocular tear film; Current clinical techniques to study the tear film and tear secretions; Time and the tear film; Pathology of the tear film; The tear film - its role today and in the future.